Looking for privacy, views and convenience? Look no further! This charming home has long-range views and is situated on over 5 acres. Enjoy the views from the relaxing front deck, great room, master bedroom and front bedroom. 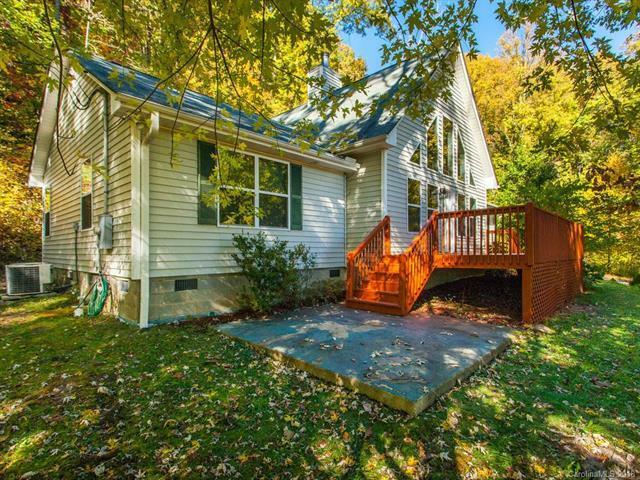 This house is just a 25 minute drive from downtown Asheville. It features hardwood floors, a split bedroom floor plan (with whirlpool tub in master bath) and a real wood burning fireplace. Listen to the rain fall on the metal roof of the back screened in porch. This home is an amazing value. Additional 6.05 acres are available with sale of home (PIN 9763-89-3792-00000). Sold by Foley Realty Inc.